Christopher M. Schroeder, a seasoned U.S. internet executive and venture investor travelled to Dubai, Cairo, Amman, Beirut, Istanbul and even Damascus and met thousands of talented, successful, and intrepid young entrepreneurs willing to take on the political, cultural, legal and societal challenges to their worlds. Equally important, major regional and international private equity firms, venture capitalists and global tech players like Google, Intel, Cisco, Yahoo, LinkedIn and PayPal are making significant investments, despite the uncertainty in the region. 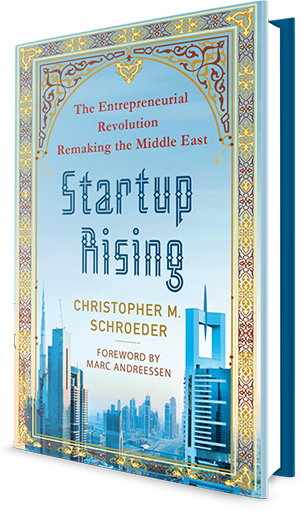 In Startup Rising, he marries his own observations with the predictions of these giants to offer a surprising and timely look at the second stealth revolution in the Middle East -- one that promises to reinvent it as a center of innovation and economic opportunity. An anecdote about how the author’s chance encounter with a young entrepreneur blows apart his preconceived notions about the Middle East. A trip to the American University of Beirut unveils how the entrenched culture of “wasta” (i.e. favoritism) can threaten the modern entrepreneurship of the best and brightest young students. Thought-provoking data and anecdotes about the growth of innovation in businesses started by the Arab Digital Generation (or, “ADG”). Christopher Schroeder and several of the women featured in his book annotated Chapter 7 to provide additional anecdotes and insights. Read the annotated chapter. At one of the first great gatherings of startups in the Middle East, I begin a journey to explore a central question: what solutions -- business, economic, societal -- can a new generation create with unlimited access to technology? Entrepreneurship is not new to the Middle East. Despite government bureaucracy and regulation, favoritism, political instability and "wasta" -- who you know being more important than what you create –some entrepreneurs built amazing companies.  These founders now support a new generation of world-class, competitive startups. Meet the some of the thousands of great new entrepreneurs: The Improvisers, who leverage great successes elsewhere for Arab markets; The Problem Solvers, who use technology to address challenges in society (from education to traffic); and The Global Players, who sell now, one click away, product and services around the world. The largest repository of fresh water in the world is under the Egyptian desert. Might solar power revolutionize access to it? What potential is there in societies that never knew landlines? Can the next great social network come from a region that used Facebook and Twitter to topple regimes? Some remarkable entrepreneurs are plotting to make the Middle East a cradle of global innovation. Startup "Ecosystems" thrive on access to an extended community of talent and resources at scale to build world-class product. They foster communities of support and incredible competition to create a culture of excellence. A new generation of Investors, Conveners and Recognizers are strengthening ecosystems throughout the Middle East. Talk to anyone my age or older and they wring their hands at the seemingly infinite number of infrastructure challenges in the Middle East. Is there no hope? A new generation of bottom-up projects -- supported by the private sector as well as technological innovation – offers surprising alternatives. At any startup gathering in the Middle East as many as 40% of attendees may be women. Their businesses are large and scaling -- sensitive to their communities and cultures, solving local and regional challenges, and equally engaged in broad, global market opportunities. Returning from travels to India, Israel even Indonesia for that matter, culture does not come up in the context of the tech startup ecosystem. Yet, culture is often first question I hear when I return from the Arab world. What bias does this reflect in the West? What opportunities and constraints does culture place on the ecosystem by requiring hierarchy and questioning the rights of half of the population? Regional entrepreneurs share their views and their amazing companies. How can we square political instability, even political and sectarian violence, with this new generation of tech-enabled startups? Both are real and are co-existing. The more interesting question is how can we embrace and support an unprecedented opportunity -- for businesses, investors, policy makers and anyone excited by where new worlds may be forming.